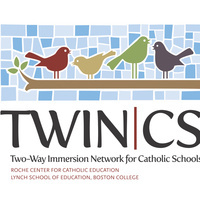 The Two-Way Immersion Network for Catholic Schools (TWIN-CS) is an initiative of the ​Barbara and Patrick Roche Center for Catholic Education at Boston College's Lynch School of Education. This initiative, grounded in research and leadership by Boston College faculty and other university researchers from around the country, supports schools in the implementation and assessment of dual-language immersion models in Catholic school classrooms around the United States. The TWIN-CS network is composed of principals, teachers, field mentors, parents, board members, and other leaders from Catholic schools across the country. Please note: all times listed are in EST.